Join the 5 Diamond Lodging family! 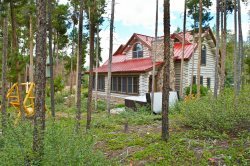 Owning a second home in Summit County, Colorado, provides you with many opportunities and benefits. Aside from the wonderful recreational and lifestyle choices available to you, 5 Diamond Lodging, Inc. is pleased to offer you a choice in the management of your property in your absence. If you purchased your home-away-from-home as an investment and you desire the traditional hands-off approach of vacation rental management - we'll take care of it for you. We'll aggressively market it, rent it out, clean it and treat it as our own; all you'll really have to do is cash your checks. Or maybe you just can't bear the thought of others in your home, but you're worried about the safety and security of your substantial investment in your absence. We can take care of that for you as well, with weekly inspections and spot-inspections as requested. Perhaps you find yourself somewhere in between these two extremes - read on to see how we've anticipated your needs. This is the traditional vacation rental management option that's been available in Summit County for years. This option is for Owners who like the income to offset the expenses associated with vacation rental ownership, but would rather not worry about the details associated with renting. 5 Diamond Lodging is there for you! This is for the Owners who like to rent out their vacation home a bit - to friends, family, and co-workers perhaps but they just don't have the time, energy or expertise to do so full-time. Let 5 Diamond Lodging be your partner! We'll work hard to fill in the gaps in the calendar for you. For just a small increase in commission percentage, you'll have access to all the benefits of Tier One but with the flexibility to get some of your own rentals and commission-free income. You'll have personalized 24-hour internet access to your property's calendar and will be able to block personal use and rentals whenever you so desire. You'll have access to our professional housekeeping services as well as a 24-hour contact for your guests even when you've rented it yourself. Isn't it nice to know that you don't have to do all this on your own? You'll be a full-fledged member of 5 Diamond Lodging's family of vacation homes. Who's going to clean after my guests depart? How will I handle getting keys to my guest? What if there's an after-hours emergency? There's an easy answer - Let 5 Diamond Lodging worry about those details for you! Just keep your calendar with us on our software and those worries will disappear. Your association with 5 Diamond Lodging will give you access to our professional housekeeping services as well as provide a 24-hour contact for your guests. They'll feel taken care of - and so will you. This option is for the Owner who doesn't need or want rentals in their home-away-from-home. A fortunate Owner indeed! But there are still worries when you own a home far away from where your primary residence may be. Let 5 Diamond Lodging keep an eye on things for you. We'll visit your home frequently and make sure that the basic functionality of your plumbing and heating systems are in working order. Our visits will also reduce the temptation to those who may otherwise think to take advantage of a home that's only occupied a few weeks per year. As an added bonus - you'll also have access to our professional housekeeping services and a 24-hour contact in case of emergencies. It will make a visit to your vacation home seem so much more like a vacation when you let 5 Diamond Lodging handle the clean up for you.